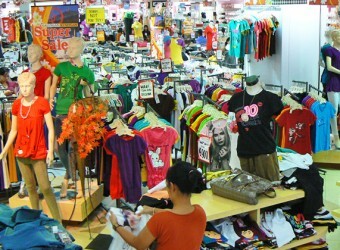 Ramayana Mall is one of favorite shopping centers in Denpasar. This shopping center sells household groceries such as clothes, shoes, bags, fashion, daily needs, accessories, beverages, beauty products, food, toys, stationery, etc. It was the first time after 3 years I went to Ramayana!! There were many sale items changed from before!! There is also supermarket inside. I bought sandals here.